Before we start about saying WordPress Cloud Hosting, a small intro is here. 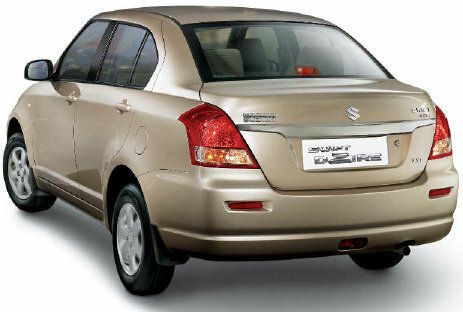 Those who lives outside India, probably have not heard of Maruti Suzuki Swift DZire. I love this car because it is a semi-luxury car with insane mileage – 17 KMPL on average. Basic fact is maintenance and recurring costs. This car has changed the scenario of this segment because of major key points – mileage, comfort, low maintenance cost and excellent after sales support. Basically most of us need the same requirement from a Server. It should be steady, have good uptime and have excellent support. Days has been changed. All cars has automatic fuel injection system now. No car has dynamo to recharge the battery. Yes, vintage car is a collectible, but does it fit your everyday usage? So today we started with facts with a particular model of car and we will discuss on WordPress Cloud Hosting. What the advantage a WordPress Cloud Hosting has, what makes WordPress Cloud Hosting more suitable and when WordPress Cloud Hosting is not suitable – these will be discussed in simple language. You have seen in various guides like How to Install WordPress on Rackspace Cloud Server, I have created a server instance and wrote the tutorial. End of the tutorial, I have deleted it – my cost is hardly 10 cents. Yes, you will think that “I do not need such feature for my WordPress Cloud Hosting, I write about toothache and why the hell I will need such features.” True. But more truth is – when you started your blog on any WordPress Cloud Hosting solution, you can opt for lowest configuration, a VPS will cost you $12 / month. When your visitors with toothache begin to increase, you can change it to next level, more traffic – more resource. You can not get a traditional VPS at $12 month. I or you are consumers. We need flexibility. Can any traditional VPS offer 30720 MB RAM ? We are saying about simple WordPress Cloud Hosting on Cloud VPS, not any optimized platform. Practically downtime happens due to various reasons. First is serverside failure. Most of the WordPress Cloud Hosting providers uses very advanced servers (basically multiple servers – nodes). If one server fails, others will continue to keep your website on if you are using WordPress Cloud Hosting. Second reason of downtime is the complex DNS system. No one can give warranty on this one. Third is due to misconfiguration of some plugins – usually yields 500 server error. This can be corrected easily. 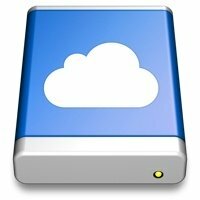 You can use a VPS for WordPress Cloud Hosting. It is not possible with a traditional web server. WordPress Cloud Hosting is like electricity, pay only for what you have used. We have shown in our pilot project, that it is at least possible to give a WordPress Cloud Hosting at only one dollar per month. Most Advanced Hosting providers uses own modern control panel, instead of cPanel. You can see the demo of such on our Cheapest Cheapest WordPress Cloud Hosting article. What you basically need from cPanel ? PHPMyAdmin, ability to add websites easily, create, setup emails and cron job. All are there. Shell Access and many other features are disabled on Cheapest Cheapest WordPress Cloud Hosting demo. So you got all. That $12 / month service, our Cheapest Cheapest WordPress Cloud Hosting – all are from Rackspace. There is no doubt that it is the best publicly available Cloud Hosting Provider on which you can install any CMS. My 70 years old driver is not comfortable with Swift DZire. For him it is better to give the old vintage car. All big websites and blogs are running on either one of these Cloud Hosting Providers – Rackspace, Media Template or Amazon. WordPress Cloud Hosting can be setup on Amazon, in fact two big giant bloggers uses them as WordPress Cloud Hosting for their blogs. Its a bit painful to setup, but the result is fine. WordPress itself uses WordPress Cloud Hosting. If you have a Bank, it will need a Server (obviously). You might think of a WordPress blog for internal or users’ usage. In that case I will vote for traditional Dedicated server for isolated physical environment. We have already said much in other articles and also in this article. Options are only three. It is matter of fact – there are hundreds or thousands of toothpaste manufacturers. But you use the most widely known brand, is not it ? If you have doubt, you can use our Cheapest Cheapest WordPress Cloud Hosting for one month to test a test domain. On that article, we have already said about our unbeatable WordPress Cloud Hosting With Full Website Management plan which we are delivering as a pilot project for few limited brands. This Article Has Been Shared 6619 Times! Wordpress Mobile Version Subdomain is needed to offload the traffic, to increase readability, professionalism, SEO, Make Money using Specific AdSense units. Ecommerce Website Design, CMS and Hosting is not really very much different from a medium to bigger informative website except few important points. Web hosting, Domains, Website, Blog, Forums are often quite cloudy to the new users. In this article we have written about them in plain English. Cite this article as: Abhishek Ghosh, "WordPress Cloud Hosting Versus Traditional VPS or Dedicated Server," in The Customize Windows, February 24, 2012, April 21, 2019, https://thecustomizewindows.com/2012/02/wordpress-cloud-hosting-versus-traditional-vps-or-dedicated-server/.